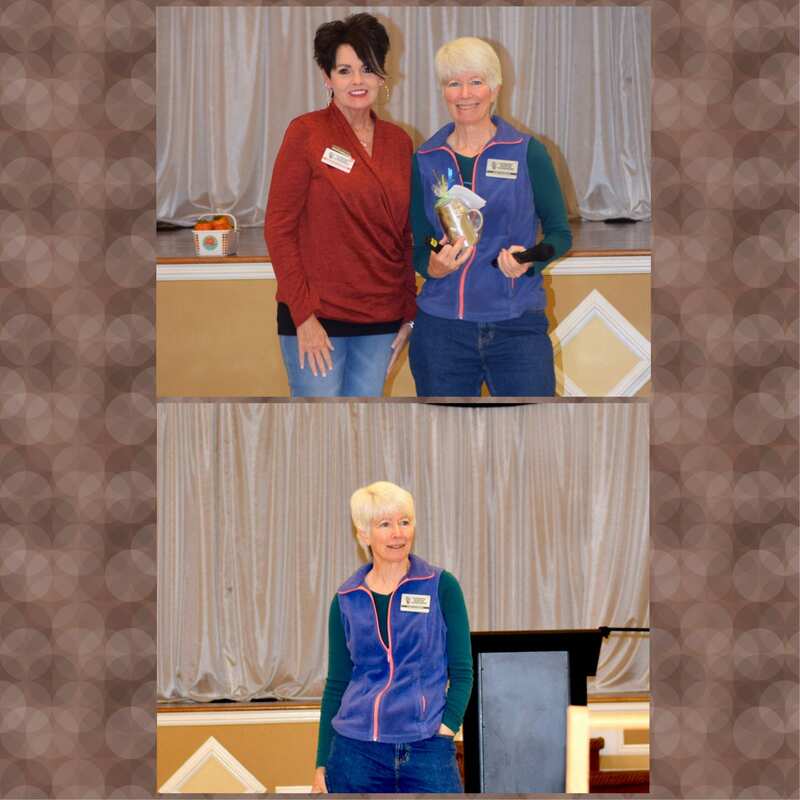 Our November program was presented by Mary McCroan, a Master Gardener from Wetumpka, who is working toward her Advanced Master Gardener certification. Mary taught us about “Backyard Water Gardens.” She discussed the various types of water features from bubbling pots to ponds complete with streams and waterfalls. Location, sun, shade, style and budget should be considered when deciding to install a water feature. Mary shared examples of water features such as an inexpensive preformed pond to a large pond. She shared her experience in building her small and medium ponds and gave cost estimates for DIY (with help where needed) compared to having a professional install a similar water feature.